EXCLUSIVE! 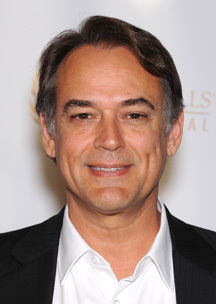 JON LINDSTROM RETURNS TO GH! Jon Lindstrom is back on GH next week, reprising the role of Kevin Collins. He last appeared in 2014; earlier this year, the role was played for one day by Anthony Starke while Lindstrom was shooting TRUE DETECTIVE. "I was very happily surprised to get a call from [Casting Director] Mark Teschner asking if I’d be interested in making some appearances,” he reports. “I was so pleased to go and romp with my old friends at GH again!" For more with Lindstrom, check out the new issue of Soap Opera Digest, on sale Friday.